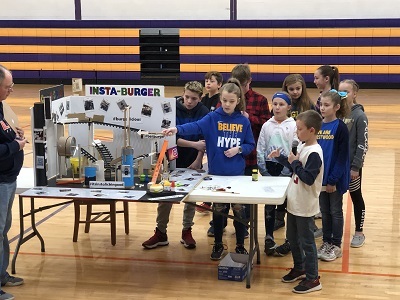 The District is proud of its rich history and student accomplishments as it offers a well-rounded quality education to students of all abilities. Community Unit School District No. 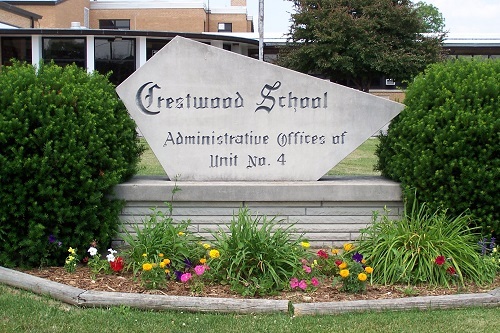 4 is the home of the Crestwood Eagles and the Paris Unit 4 High School Tigers. The school currently houses 500 pre-kindergarten through eighth grade students with 220 high school students attending Paris High School. Crestwood 4th grade students experimenting in the science lab at Paris High School. Members of Crestwood's Science Club traveled to Bluespring Caverns in March to do some spelunking. After crawling through tight vertical and horizontal spaces and treading through plunge pools and a mini waterfall, the students took a 45 minute boat tour in the cave, which has the largest navigable underground river in the U.S. They learned how to explore unknown caves safely and how to use equipment to ascend and descence properly. Students and their families enjoyed our annual Learning Fair. Students in preschool through eighth grade displayed work from throughout the school year. 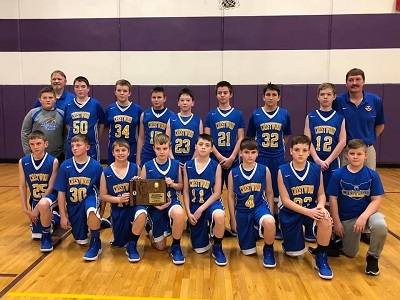 Congratulations to our 7th Grade Crestwood Eagles!